Anytime you can get students to practice grammar in a different way especially in game form more learning happens than just straight drill. 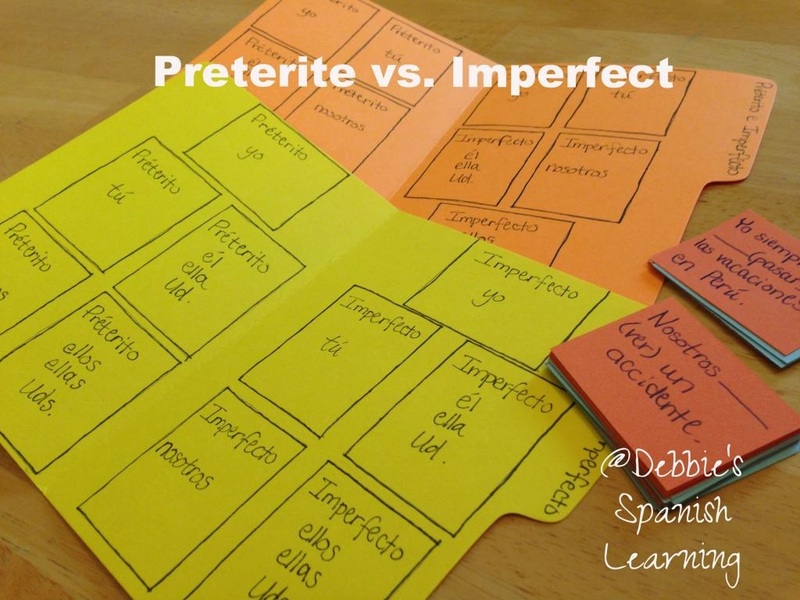 The concept of when you use the preterite and the imperfect in Spanish can be a hard one for students. One of the best ways is just to practice deciding which tense works in different types of sentences. Todos los lunes Carla______________(ir) al cine. Ayer Lisa y Carmen no_____________(hacer) la tarea. Create enough cards in the pile so that each student could fill his/her file with an example of each (basically so they could cover all their spaces), but then create some extra cards. Students take turns picking up a card and deciding what tense to use. They then say their sentence outloud conjugating the verb correctly. They place the card on the correct tense and person in the file folder. If a student picks up a card for a space they already have covered it is like missing a turn, and they place the card at the bottom of the file. The object of the game is to fill your folder first by covering all the spaces. 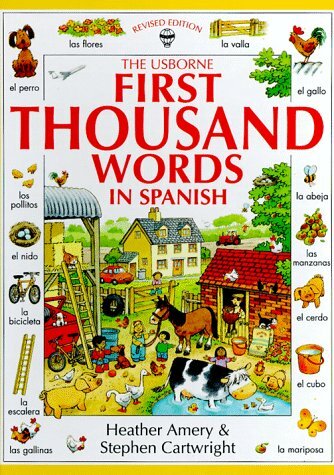 This game can be used with other concepts in the language like ser vs. estar. Great idea! :-) ¡Me ha encantado! 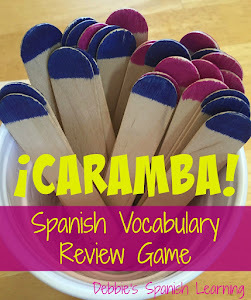 Can you post this game somewhere for others teachers to borrow/buy? It's great! WaldoGirly- If I get some time I can come up with a file that will have the sentence cards. It might take me awhile as I am in the midst of my semester, but I can eventually get to it. I liked the idea and the fact that it is teacher-tested.